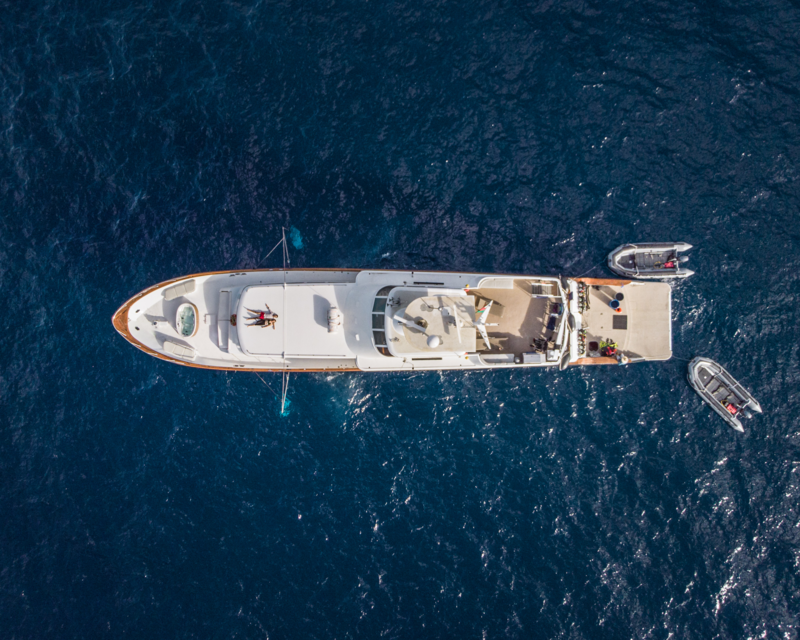 When 23 people come together on one boat from 12 different countries, from different backgrounds and different lives – something magical happens. Everyone has one thing in common, their desire to experience for themselves what lies beneath our magnificent ocean. The Revillagigedo Archipelago does not disappoint, the life both below and above the surface will stay with us for a very long time. The different species of sharks, and fish are in themselves diverse and abundant, but for me it was the giant mantas that won the show – and what a show they put on for us. 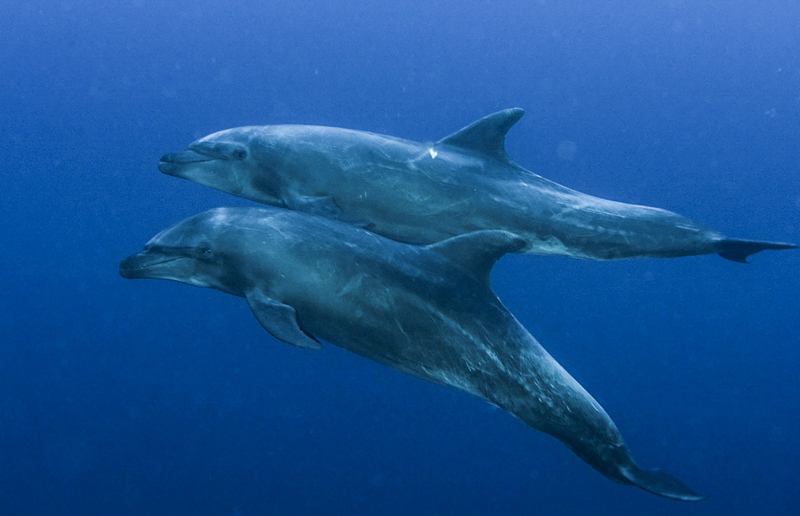 They clearly loved being in the water with the divers, as they turned up at every opportunity and swam above us, reveling in our bubbles that tickled their underbellies. They then rewarded us with a magnificent show – a dance of grace and strength. 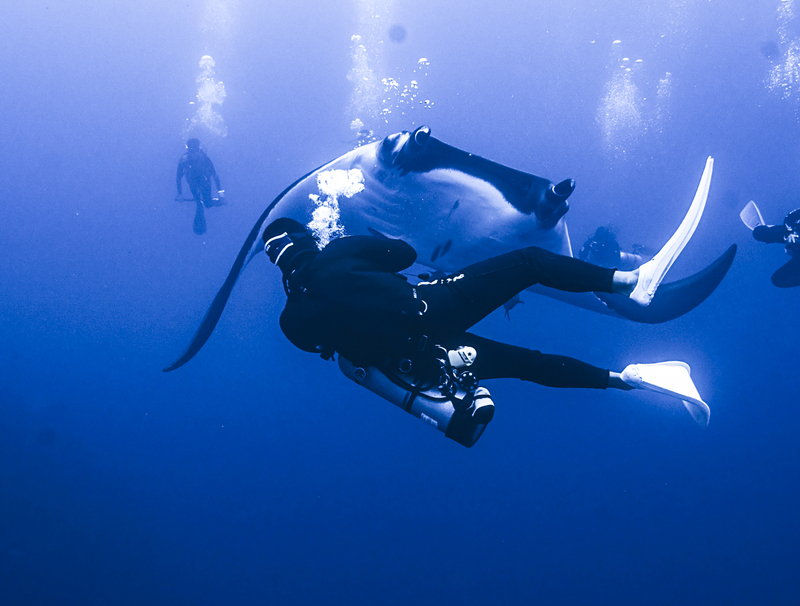 Very often the giant mantas swam so close, as if to look deep into your eyes – then they somehow were able to judge how close you, the diver, was and gracefully lifted their body sideways as not to hit you with their wings as they glided off into the blue, only to return seconds later to get a second look. The crew onboard of the Nautilus Explorer, headed by Captain Lowell, are second to none. Their attention to our safety was paramount. Nothing went unnoticed. This was all done with a sense of humour and pride in their work. I felt totally safe in the hands of the divemasters and the crew. There were occasions when choppy seas made it such that only very skilled boat drivers could negotiate the landings on the fantail of the boat. The crew manning the boats aced it every time. Doing four dives a day leaves you mostly ravenous at every meal. Of course no one is totally happy unless the food onboard is great. A big thumbs up to our chef on board, Enrique, for not only preparing a fabulous menu, but doing it always with a smile on his face. As we head back to reality, our heads and hearts are full of images of an underwater world that we are privileged to have experienced – even though for just a little while. No es la primera vez que hago un viaje de buceo en vida a bordo, pero nunca he visto tanta coordinación y profesionalidad como en este barco. La tripulación siempre ha sido atenta a nuestra seguridad y nos han atendido siempre con una buena sonrisa y siempre han sido muy amables. Los guías han sido super profesionales y pacientes, la verdad un trabajo muy bien hecho!! Los buceos y los lugares que hemos visto son increíbles, y la suma de todas estas cosas han hecho que el viaje fuera perfecto!! Muchas gracias a todos!! Espero volver!!! Greetings fellow divers and adventures! The Nautilus Explorer did not let us down. The trip to Socorro (January 17th, 2019) was a wonderful success with everyone having an amazing adventure of their own. This was my 2nd trip with Nautilus (Guadalupe and Socorro) and I can assure anyone and everyone reading this blog, you will be well cared for and rewarded with beautiful and thrilling dives. Estou de volta `as Ilhas Socorro apos vinte anos. De novo visitei as mesmas tres ilhas, San Benedicto, Socorro e Roca Partida. Em San Benedicto estao as mesmas arraias Mantas. Meio cansativo so ficar vendo mantas. Uma pena que nao havia corrente, o que importou em falta de acao com tubaroes, especialmente em Roca Partida, ilha da qual tinha muitas lembrancas boas. Mesmo assim a viagem foi otima e tanto o barco quanto a tripulacao foram fantasticos. Obrigado. First dive at Roca O’Neal and we spent the entire dive interacting with about 7 dolphins who stayed really close, tempting us to follow them down and up and out into the blue. Magical, beautiful, hypnotic! We hope to see more in the coming days. Arrancamos el viaje con todo, el servicio es el mejor, el barco excelente y muy cómodo, la gente muy copada, empezamos los primeros buceos y ya son lindos y se vislumbra una semana de buceo inolvidable… así que a seguir toda la semana igual… con buena agua, buen grupo, muchos argentinos lindos y por sobre todo MUCHAS AGUAS CLARAS !!! a seguir buceando y disfrutando de uno de los mas grandes placeres de la vida…. SLEEP, EAT AND DIVE !!! This has been a trip with a lot of firsts for me: my first liveaboard experience, my first encounter with oceanic mantas, as well as my first time to swim and play with Bottlenose dolphins! The list just goes on and on. There are some events in my life when I already know I’ll miss it before it’s even over, and this Socorro trip is definitely one of those moments. It will be hard to dive anywhere else after this and I will surely miss the company of everyone from the guests, to the dive guides, our captain, and the wonderful kitchen staff that makes sure we’re stuffed between all our dives. I can’t wait to plan my next trip back! Hola Soy Claudio Chiara de Buenos Aires, Argentina, vinimos con el ENBAS Buceo de Argentina, hasta ahora todo perfecto, anfitriones excelentes, comidas muy buenas, ambiente perfecto para disfrutar de esta semana a puro buceos, Gracias a toda la tripulación y a seguir disfrutando. Soy Jorge Castineira vine con la escuela ENBAS de Buenos Aires Argentina, hemos tenido dos primeros buceos muy lindos con avistgamientos de tiburones y rayas, muy bien por la operatoria y organización de los buceos, y también felicitaciones a camareros, chef y tripulación. Nautilus Belle Amie: 6 out of 5 stars! This is my 2nd time in Socorro, and experience exceeds the previous liveaboard. 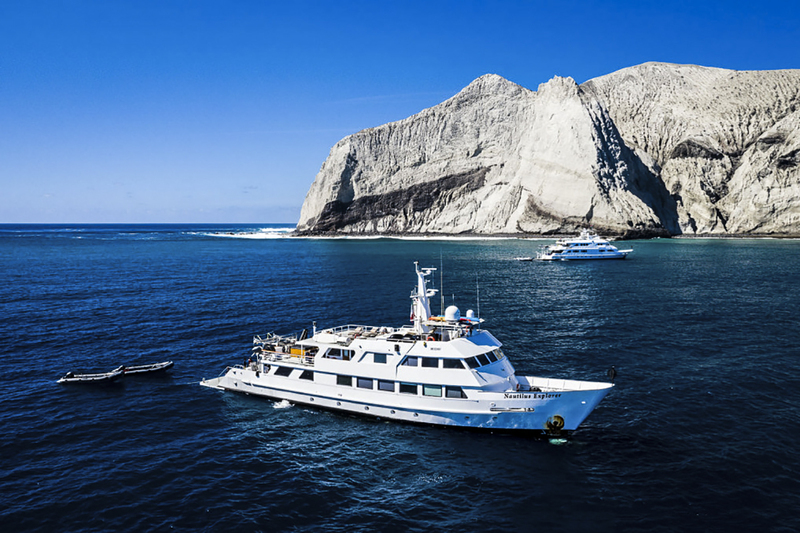 The Nautilus Belle Amie is a great boat with a fantastic crew. The operation is professionally run. Big kudos to TJ, the Captain! The diving is amazing. 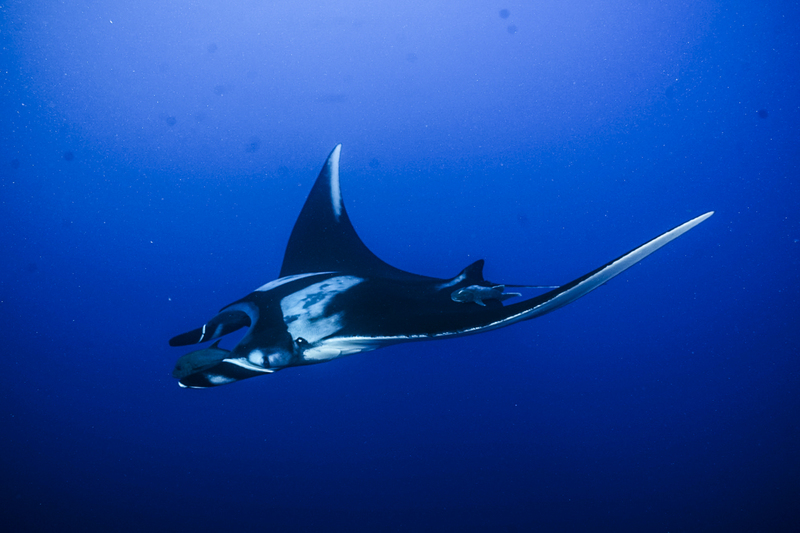 My close encounters with giant Pacific manta rays (hopefully more in the next 2 days!) are the moment that won’t ever be forgotten. Everyone worked really hard to make sure every guest had a good time. All the divemasters (Felipe, Thiago, Adrian and Xavier) who led the dives showed their best efforts to help us spot mantas, and especially the elusive big animals like hammerheads. Presentations were very informative; presenters were great and you can feel their passion from within. The chef Gerardo is amazing. I had no idea how he could cook delicious meal after delicious meal on a rocking boat for 29 guests! The Taco Fiesta was a blast! Sofia and Lala always made sure that our tummies were full and water/other drinks on the dive deck pre/post dive. 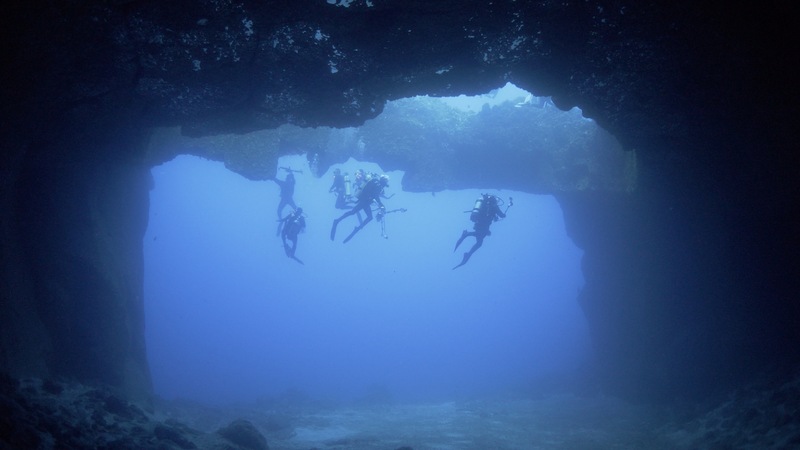 El Canyon on San Benedicto Island was a great dive site to start off our trip. It really gave us a chance to get used to our gear, the water temperature, the surroundings, and all the different aspects for this dive trip. The divemasters and the whole crew have been amazing! 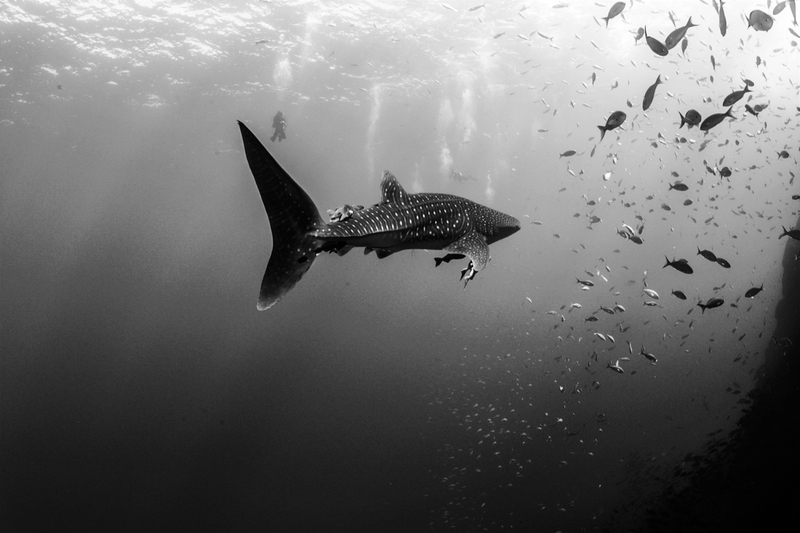 Dive one at Roca Partida: WHALE SHARK!! Woohoo!! What an awesome dive!